Home buyers looking for a neighborhood with both style and character should strongly consider Red Rock in Sarasota. 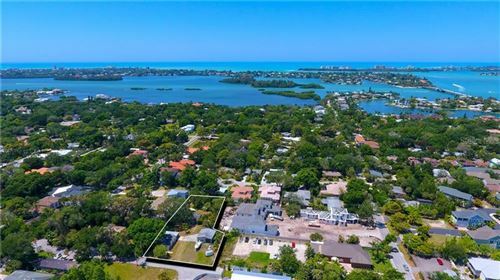 This area was settled in the late 19th century by a Danish family, way before several other European pioneers arrived to settle in Sarasota and the barrier island now known as Siesta Key. The Red Rock subdivision sits in front of Roberts Bay, and thus it is home to some of the most attractive waterfront property in Southwest Florida. Red Rock is located west of the Tamiami Trail or “West of the Trail”, just a few blocks away from the exclusive San Remo subdivision. Red Rock is split into four smaller neighborhoods: Westbrook, Eastbrook, Red Rock Terrace and Hansen. The single-family residences at Red Rock run the gamut in terms of Florida architecture. Home shoppers can find historic bungalows built in the Cape Cod style; these modest homes date back to the 1920s. Florida ranch-style homes are the norm, as well as Tuscan-style villas and the classic Mediterranean-style residences that Sarasota is famous for. Virtually all home sites in Red Rock start at half acre of premium Florida land. The pricing range at Red Rock starts around $400K for a bungalow to $1.3M for an impressive four-bedroom and four-bathroom Mediterranean-style mansion built in 2013. Although available listings at Red Rock are not too common, real estate activity in this subdivision is very competitive. Red Rock Park is a major attraction to this neighborhood. Located in the corner of Hansen Street and Camino Real, this is a quiet one-acre family park with brand-new playground equipment and picnic areas. This park is just down the road from the Glengary Shoppes and Barnes & Noble, and it is just a stroll away for all Red Rock residents. Students are served by Southside Elementary, Brookside Middle and Riverview High Schools. There are many private academies nearby as well, and families can take advantage of the proximity to the beaches of Siesta Key and the museums and parks in Downtown Sarasota. 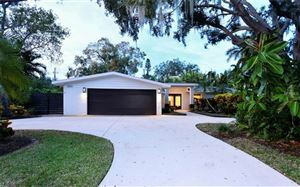 See all Red Rock Sarasota Homes for Sale.